Ah well, I'd guess I could probably get around it with the old init editing like: this addMagazine "____"; If the model doesn't have a place for additional missiles to be displayed, then they wont show up externally... the Arma 2 model would display up to 2 external munitions when weapons were added in this manner, since this is surely based on the arma 2 version, does that still occur? * very concise plot: Military Coup deposes the legitimate government. Pro-CSAT military dictator is in control of Tanoa. USS Khe Sahn (or America from the Jets DLC) is the first responder. Hijinks ensue. The first missions are to be in the F-35B/Black Wasp 2, before focusing more on infantry, light armor, and helo gunships, with non-playable jets occasionally coming by to remove high level enemy threats.
" a hydraulic line and structural bracket must be redesigned and modified ahead of the planned Block 4 release in fiscal year 2022"
Still, the target capacity is the same, and they are redesigning it... surely by 2035, these kinks will have been ironed out. "That F-35 Experience video was uploaded by LM to YouTube in 2010. Combined with the graphic which seems to show the roll post vents behind the AIM-120s / back of weapons bay, so it seems reasonable to assume the CGI / graphic is of a post-SWAT Bee. It seems reasonable, then, to believe that the Bee will be capable of an internal AIM-120 sixpack when they get to it in Block 4." PS: How do I remove the gun pod on the buzzard? if removing the gun pod on this F-35 is going to be done the same way? Every update you give us is appreciated, however small it may be. Also just a thought, wouldn't "tactical gendarme" be GIGN ? Dunno, they aren't French GIGN least tho. 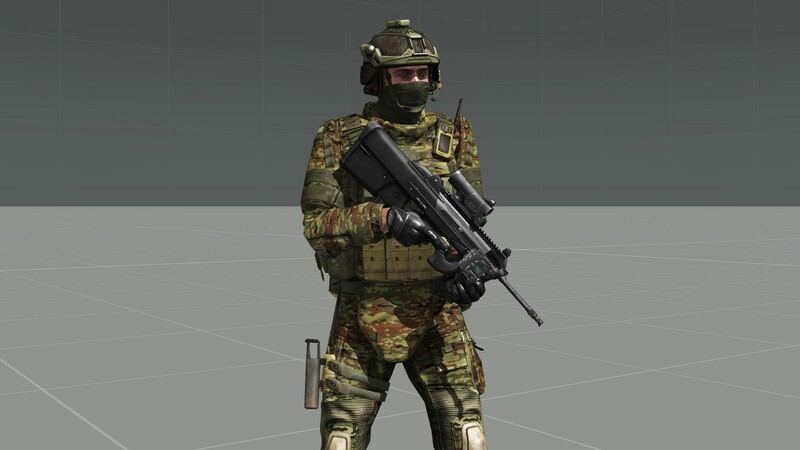 Ah, it seems that is using a mod, so there is no way to remove the gunpod of the buzzard in vanilla arma 3 then? I guess that is included in your aegis mod then? Jets DLC drops tomorrow, so I guess something like that will be stock (don't know if it will allow the gunpod to be removed though). Also I hadn't realized that the Bulldog shotgun was the Kel Tec KSG. 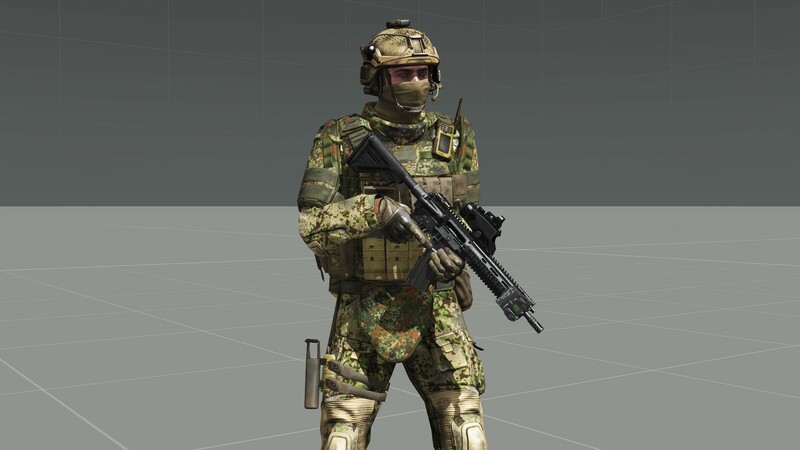 Sweet, the RFB and the KSG will both be in arma 3 then. 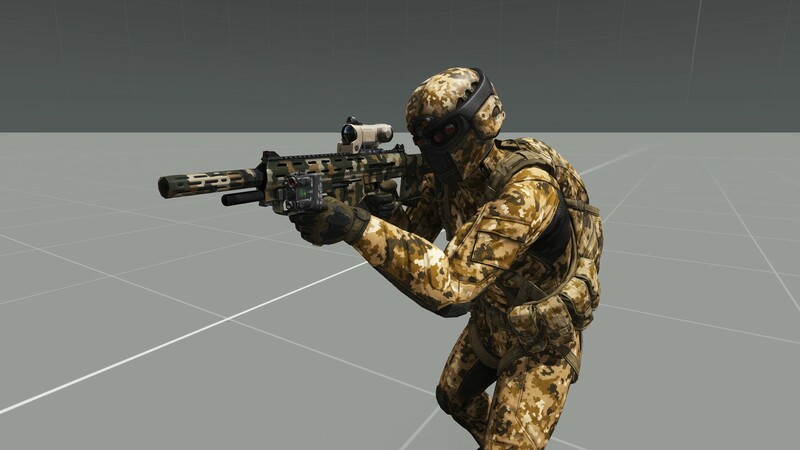 Will it model the KSG and have 2 magazine that you can switch between (like shot and shells, or #4 shot and 00 shot, etc)? 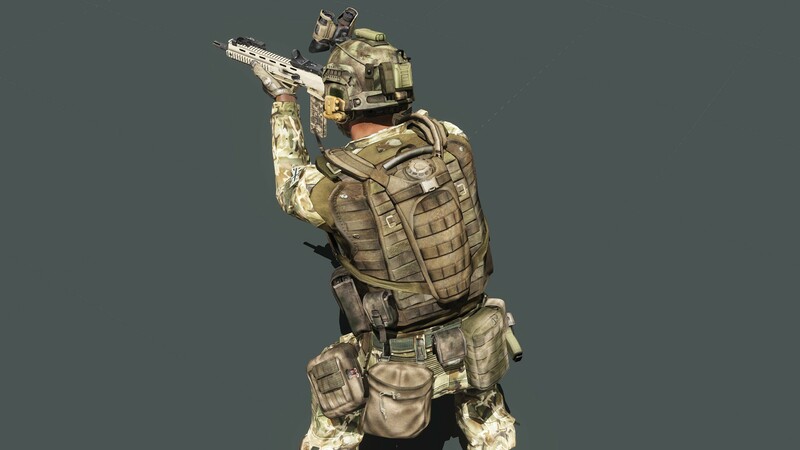 Will the RFB be able to accept attachments unlike the SDAR? Removing the gunpod is part of Jets DLC which is on dev branch. 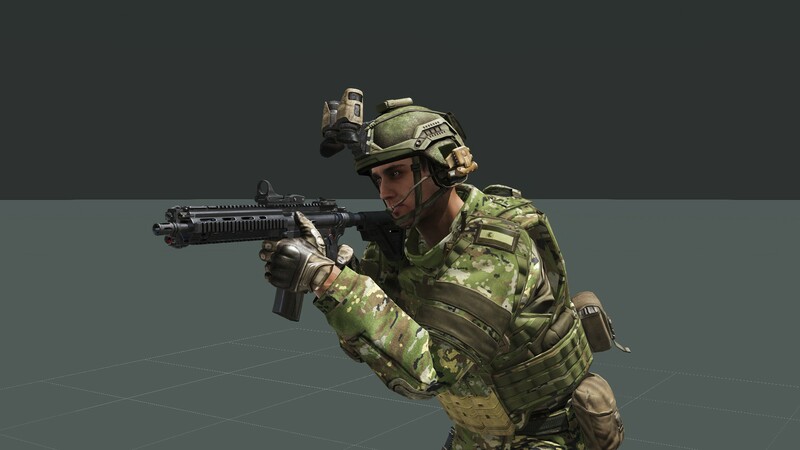 The SDAR and RFB can both attach optics. "Removing the gunpod is part of Jets DLC which is on dev branch." Awesome, I suppose that answers my question if you've been doing this mod with the Jets DLC changes in mind, it seems you're already using the dev branch version of it. Since you brought up the type 115 in response to question about the shotgun ... Have you done any rebalancing of infantry weapons? That 50cal on the type 115 bothers me... a lot. I refuse to use it in any of my missions. It penetrates way better than the NATO .408... it penetrates better than the Lynx 50 cal unless APDS ammo is used. Compare to the .408: 19g at 1,100 m/s or 27g bullet at 910 m/s. In both cases, the .408 has significantly more momentum (and a whole lot more KE), with a smaller frontal area... the 50 cal on the type 115 is OPd. Is there a chance the mod will be released by the end of the month? Even though the author answered you I still have to tell you that it's against the rules to ask for any kinds of updates or release dates. So I was looking at the new DLC, and I'm wondering how your F-35 fits relative to the Black wasp and wipeout. I'm not sure why, but the zoom on the cockpit of the wasp is lower than standard infantry zoom (which I assumed was because they're trying to show a wider field of view that the field of view one's screen takes up when sitting at a reasonable distance from the screen). Does this have the "standard" zoom level, or is it reduced to be inline with the new jets? How does its radar and IR signature compare? How does its internal loadout compare? The new DLC "stealth" variant isn't good at all for the CAS/A2G role. Just 2 LGBs, relative to the plethora of ATG guided missiles the wipeout can mount (DAGR, racks of scalpels, racks of macers). Any option for scalpels or macers? (you already said no DAGRs internally). Interestingly, I note that the center internal weapons bay of the wasp can carry 6 AMRAAMs, but the default loadout is 2x AA, 2x LGB - like the F-35 of Arma 2. So... its a very similar situation to the question of the internal loadout of the F-35. They inelegantly (IMO) just have the default load-out leave 2 weapon stations empty - but nothing prevents 4x AMRAAM and 2x LGB. I'm thinking they'd be better off leaving the LGB stations as the only stations that can carry 2x amraams, and just having 4 internal stations for the center bay - which is what I suggested for the F-35. The F-35F is quite similar to the black wasp, though with some notable differences. First and foremost, the F-35F lacks a tailhook and is a V/STOL. The F-35F also has a datalink. It's too speed is technically 1970 km/h or something but because arma it only reaches 1300 km/h. The F-35F carried less ordinance than the F/A-181, with 10 (technically 11) pylons while the F/A-181 has 12. The stealth variant however only has 4 (technically 5) pylons. It spawns with ordinance similar to the Black Wasp II, 4x BIM-9, 2x GBU-12, 2x Macer, 4x AMRAAM D. It's stealth and IR signature is the same as the Black Wasp II. While the F/A-181 has a 20 mm cannon with 450 AP rounds, the F-35F has a 25 mm cannon with 300 HE rounds. Edit: almost forgot. It has a fully functional ejection seat. Also I'll probably add in proper afterburners if I have spare time for all jets. the black wasp has no data link? those can be set by default? I thought they always had to be set in the editor? I'm guessing the "technically" 5th pylon is the centerline gun pod? Personally, I'd prefer if it didn't have an afterburner, the less mucking around with action menus, the better*. Also as long as the other jets don't, it would fit in with vanilla craft better. Doesn't VTOL already use disproportionate amounts of fuel? don't cars get terrible fuel economy when at max power? So then couldn't it be modded to just have fuel consumption increase significantly at higher throttle levels? * As for the VTOL, the Arma2 system, and what I see on the other F-35 port, one had no control over the vector angle, and it transitioned on its own. In arma 2 it required mucking with the action menu, now there's a hotkey to switch between modes. Doesn't necessary need to be on the action menu, my mig-21 addon has the action set to a keybind. Dont apologise for slow progress real life is way more important then arma life and it doesn't matter how long a mod takes to produce and release. 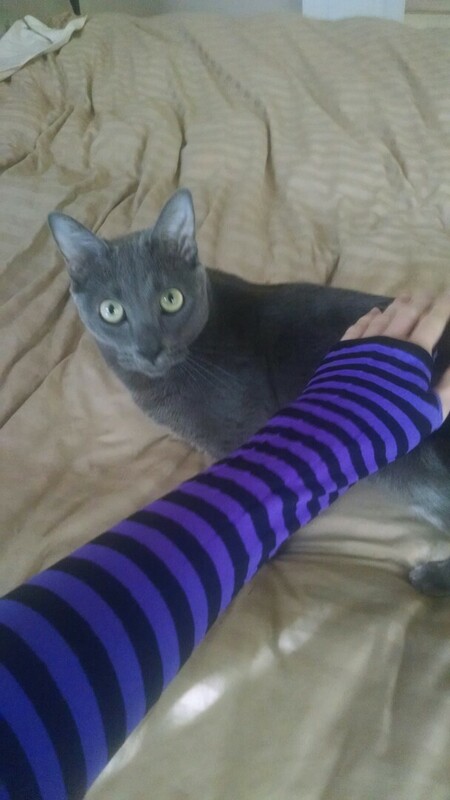 I have no idea about how to mod but i know a lot about self criticism and its not healthy or helpful. From the screen shots you have shown that you are far from a failure and i know at times no matter what that is how we can feel but those feelings are not always a true reflection. Thread is locked at OP's request.